We know your iPhone needs more juice and reliable protection but you don’t want a bulky phone in your hand. Right? Let’s keep going for ThinCharge, the ultra slim and lightweight iPhone 6 case should be a nice solution. 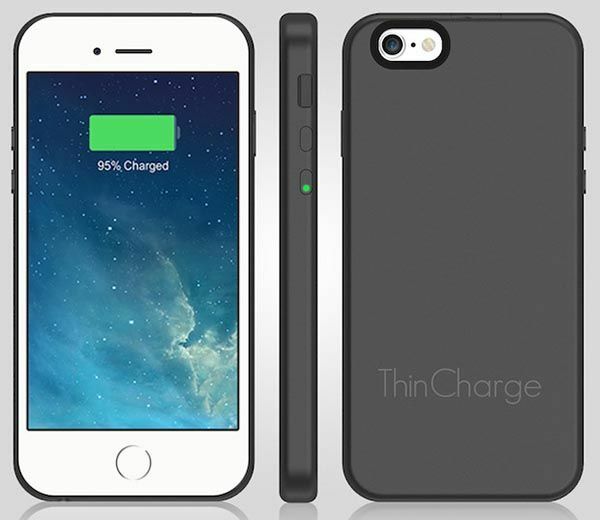 The ThinCharge claims on the world’s thinnest and lightest battery case for iPhone 6. I don’t want to prove the claim, but the iPhone 6 case actually shows off a low-profile and ultra thin design. It only measures 0.5 inches thin and weights less than 3 ounces. There is a built-in 2600mAh backup battery in the black, ultra-slim case in order to double the battery life of your iPhone. 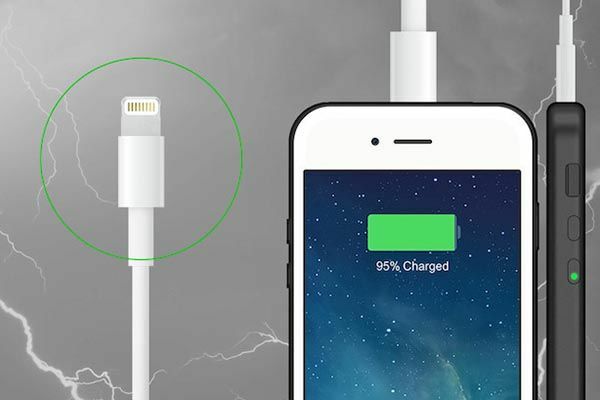 And the ThinCharge features pass-through charging technology, using your existing Lightning cable, you can charge your handset and the battery case, and inbuilt LED indicator shows you the battery level of the case. Moreover, its rigid construction protects your phone from bumps and scratches, and soft satin finish lets you comfortably and securely keep your iPhone in your hand. Apart from that, custom cutouts allow you to access all iPhone buttons and functions. The ThinCharge has been available for preorder via Indiegogo and it comes in three colors to match your phone. 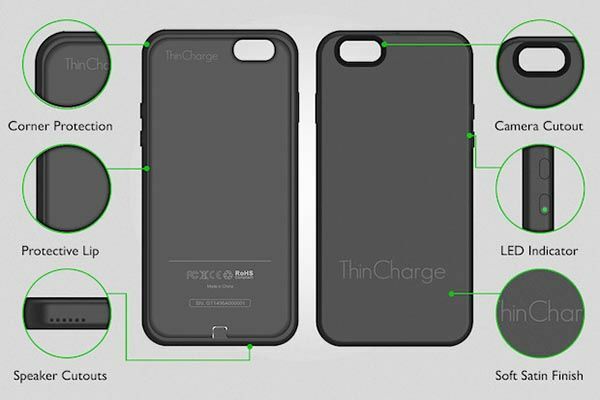 You can pledge $59 to preorder the iPhone 6 battery case. It will be shipped in September this year. BTW, also don’t miss FRE Power Waterproof iPhone 6 battery case and more cool stuff by following tags.